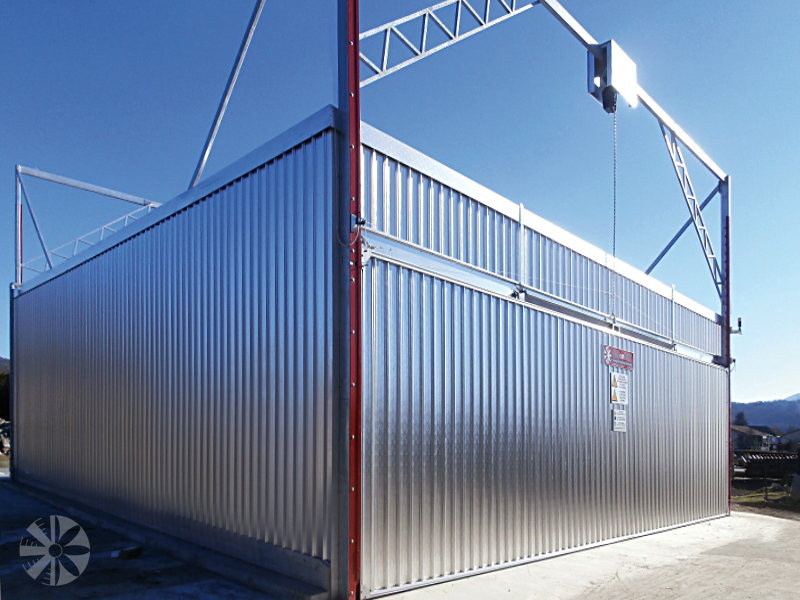 Conventional drying kilns installations for sawn wood, hardwood and softwood, with capacities ranging from 2-3 m3 to over 250 m3, fully aluminium or customized to existing structures, made of standard modules or provided as per specific customer requirements. BIGonDRY srl kilns may be powered by any source of energy: hot water, steam or dia-thermic oil supplied by conventional or solid fuel boilers as well as hot air generated by gas, diesel or electric heating systems. 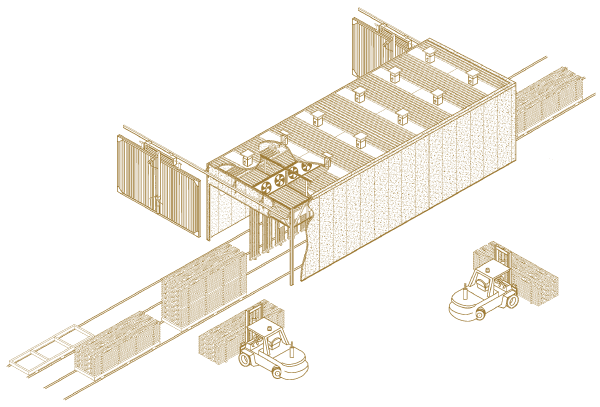 Operation scheme of our wood drying plants. 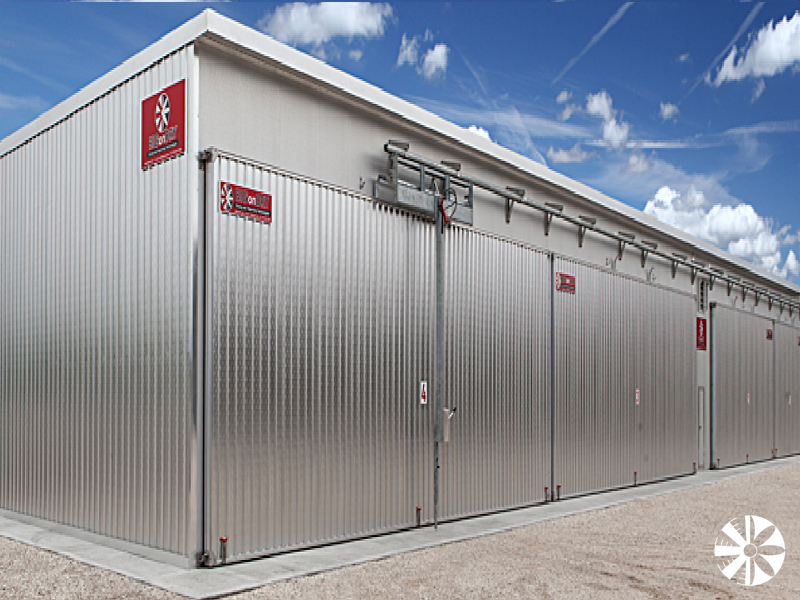 Storage facilities and pre-drying plants are a true alternative to wood natural drying, mostly in case of damaged wood quality by sudden weather changes or for companies requiring plenty production volume. 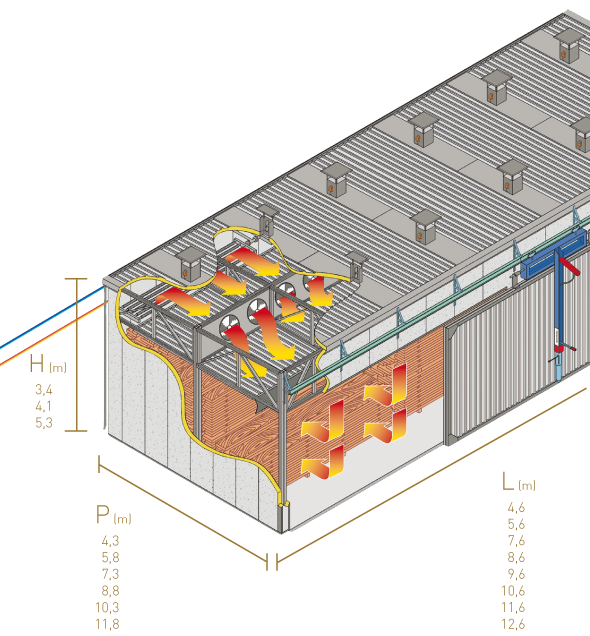 These logistics solutions for storage in air-conditioned warehouses allow the wood to gradually release the first part of moisture and then be subjected to final drying processes.